1966 2c, 3c, 4c, 20c, 30c. 1966 issue 2c R2, 3c R4, 4c R3, 20c R4, 30c R4. 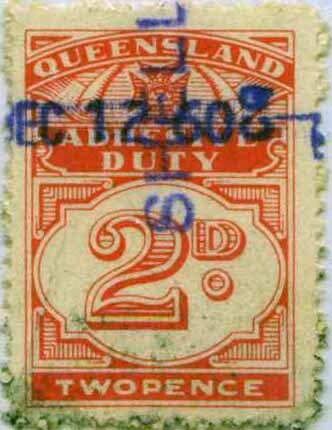 This process was somewhat delayed by World War 2 but in 1952 the Southern Electric Authority (SEA) of Queensland Act was passed which saw the shareholders of the City Electric Company bought out by public funds. The management and existing board stayed in place but with the addition of the State Electricity Commissioner and the undersecretary to Treasury. 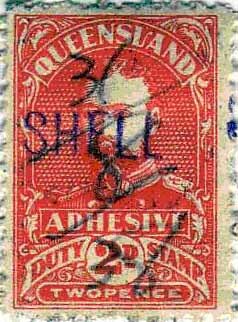 The SEA was officially launched on 1 February 1953 as a public authority which was intended to run until June 1968 when the authority would be absorbed into the Queensland Government without further payment. 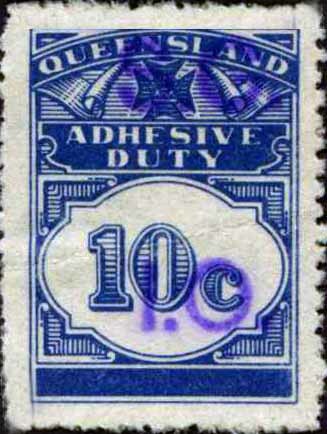 Revenue Use: KEDVII 1901 issue 2d, 1/-. Background: *Robert Harper was born in February 1842 in Glasgow, Scotland but he immigrated to Melbourne with his family in August 1856. He worked for J. F. McKenzie & Co, becoming a partner in about 1863. In 1865 the partnership was dissolved and Harper established Robert Harper & Co., initially in Flinders Lane, trading in tea, coffee and spices from the East Indies and later in oatmeal and flour. The company�s growth was assisted by the acquisition of the Oriental Rice Mill Company and subsequently the mills of W Degrave & Co.
Harper�s brother William became a partner and another brother, John, joined them in about 1883. 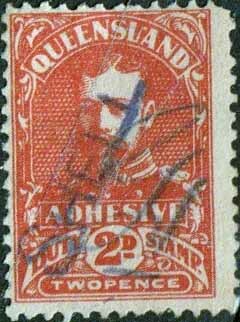 The company went on to operate branch factories in Sydney (1877), Adelaide (1882), Brisbane (1882- some reports 1887), and Fremantle (1895) and later in the other colonies including New Zealand. 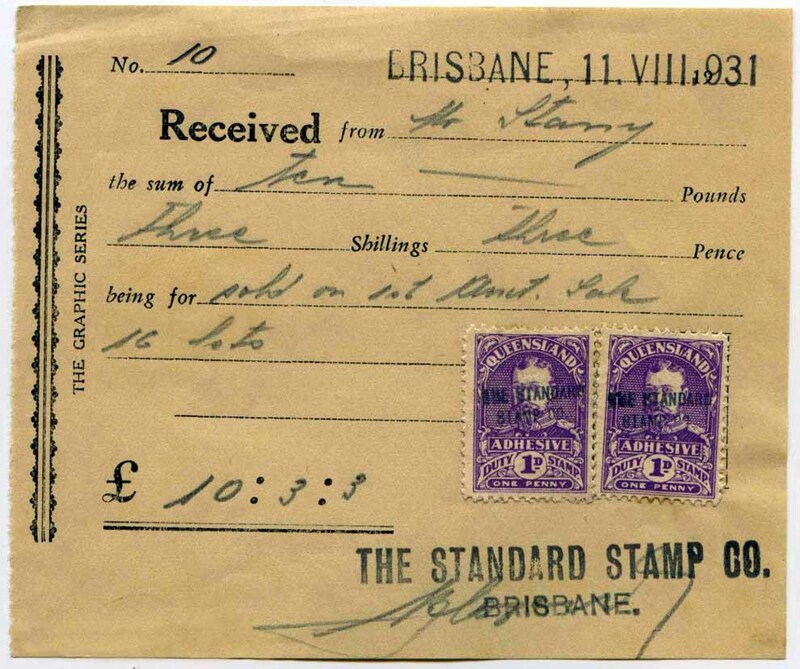 Depots were also established at Bendigo, Ballarat, Rockhampton, Townsville and Toowoomba. Away from his core businesses from the mid-1870s Harper diversified, investing in banking, land, sugar, coal and timber. President of the Victorian Chamber of Manufactures in 1877-78 he was also a long-standing director of the Kauri Timber Co. as well as several insurance companies and the Commercial Bank of Australia. Harper entered politics in 1878 defeating Alfred Deakin (later the 2nd Prime Minister of Australia) by a narrow margin and later in 1882 he secured the seat of East Bourke and held it until 1889 and later from 1891. Harper retired from parliament in 1913 and died at his home in South Yarra on 9 January 1919. Survived by his wife, one of his two daughters and four of his five sons. *The University of Melbourne Archives. * Australian Dictionary of Biography. .b Numeral Blue 2d 4mm. .c Numeral Purple 2d. 2c, 8c. 3�mm. .d Numeral 3d, 1/- (typeset). .e Numeral 2d (typeset sans-serif). .f Angle to right Blue; 1d(security under print), 2d(security under print). 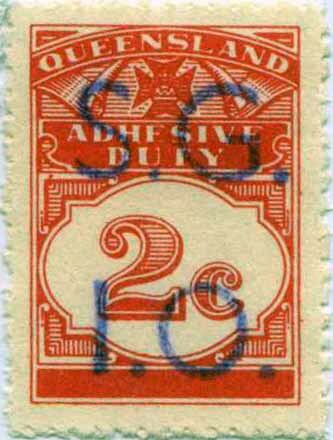 .g KGV 2d (Handstamp, large S). 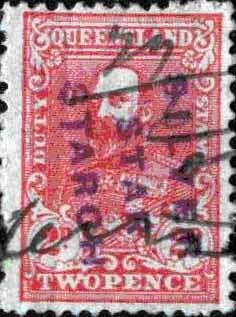 .h KGV 2d (Handstamp, Script). Rarity Scale: Any - R1. Shell Transport and Trading Company was started in the early 1800�s by Marcus Samuel, a London antique dealer who imported sea shells from the Far East to supply the fashion and manufacturing industries. This later became a thriving import-export business run by his sons, Marcus (Jr) and Sam. In the mid 1800�s oil was largely used in lighting and lubricants but with the arrival of the internal combustion engine in the 1880�s there was increased demand for transport fuel. Building on their shipping expertise, the Samuel brothers commissioned a fleet of steamers to carry oil in bulk. This was formalised as the Shell Transport and Trading Company in 1897and it used a mussel shell as its logo. Shell Transport�s activities in the East, combined with a search for new sources of oil brought them into contact with Royal Dutch Petroleum. The two companies joined forces in 1903 to protect themselves against the growing power of the US based Standard Oil. They fully merged into the Royal Dutch Shell Group in 1907. At this time Shell changed its logo to the scallop shell, which is used today. User: Queensland State Government Insurance Office. 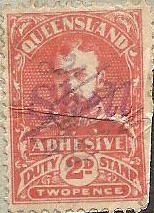 .a - Mauve SG 13mm wide; 1930 issue 1d, 2d. .b - Mauve SG (thin) 13mm wide, 1966 issue 2c, 3c, 10c 20c, $1. .c - Mauve SG 10mm wide, 1966 issue 10c. 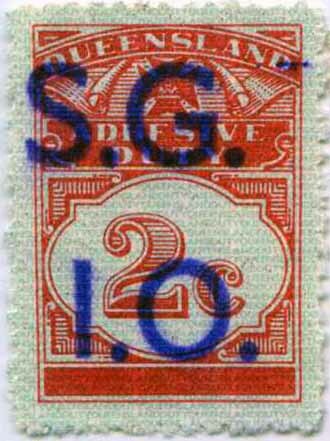 .d - Mauve SG (thick) 13mm ('I' to right of 'S'), 1970 issue 2c, 2c (security under print). Rarity Scale: Any - R2. 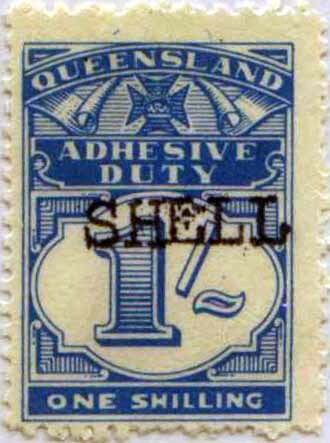 Background: *The Queensland State Government Insurance Office commenced in 1916 (some sources 1915) as the State Accident Insurance Office but later changed its name to State Government Insurance Office (SGIO) and extended its operations into life insurance, general insurance and Compulsory Third Party and subsequently superannuation, building society and finance operations were added. In December 1996, the Queensland Government owned Suncorp and QIDC entities were merged into the publicly listed company Metway Bank to create the new Suncorp Metway. 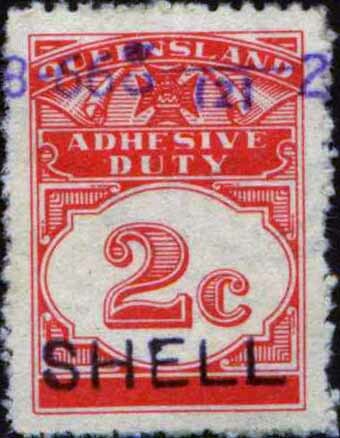 User: The Standard Stamp Co.
Revenue Use: KGV 1926 issue 1d. 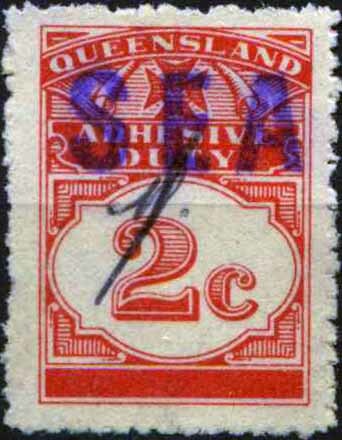 Rarity Scale: KGV 1926 issue 1d R4. 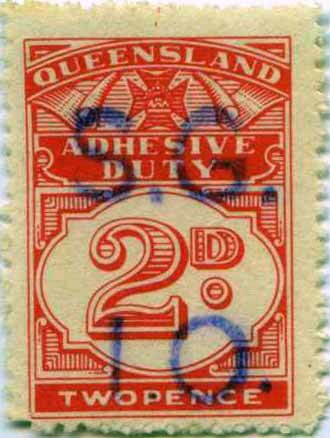 Background: Prominent Brisbane stamp shop in the 1930's, involved in the printing and distribution of Australian First Day covers into the 1950�s.